Precipitate Re-Commences Drilling a | Precipitate Gold Corp.
Vancouver, B.C. – May 24, 2017 - Precipitate Gold Corp. (the "Company" or "Precipitate") (TSXV: PRG) is pleased to announce the re-commencement of its diamond drill program at the Ginger Ridge Zone within the Company's 100% owned Juan de Herrera project in the Dominican Republic. Precipitate’s technical team has designed an adaptable program of approximately 3,500 metres ("m") of diamond drilling. The primary objectives of this program will be, (i) to test select portions of the Ginger Ridge Main anomaly area that were not tested in prior drill programs; and (ii) test the newly identified Ginger Ridge East soil anomaly, situated approximately one kilometre east of prior drilling. Program budgeting allows for the possible expansion of drilling within any new priority exploration zones successfully intersected during the program. Concurrent with the Ginger Ridge Drill program, Precipitate will be updating shareholders on results from the other five target areas on Juan de Herrera where IP geophysics, soil geochemical surveys and geological mapping were recently completed. The Company may extend the drill program to include some of these other areas if deemed prudent, based on results and budgets. 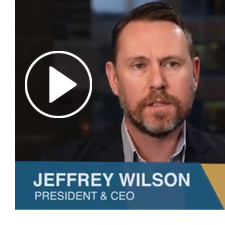 Jeffrey Wilson, Precipitate's President and CEO stated, "We are very pleased to re-commence drilling at the Ginger Ridge Zone, as we test multiple new targets with what is budgeted to be the largest drill phase conducted by the Company to date on the project. The combination of our Phase I drill discovery along with subsequent drilling data and geochemical and geophysical work in and around the Main zone has provided a better understanding of the system and offered multiple new targets for the current drill program. Prior drilling at Ginger Ridge has focused almost solely on exceptionally high chargeability signatures within the centre of the Zone. Drilling in this round at the Main Ginger Ridge anomaly will test undrilled portions at the north and southern extents of the anomaly, particularly areas with stronger surface geochemical signatures, while holes planned at the East anomaly will target the most significant surface soil geochemical anomaly identified to date on the Project." Soil geochemical anomaly is coincident with a strong magnetic low geophysical signature; an important geophysical feature for potential gold mineralization in the region. Geological affinities to both volcanogenic massive sulphide ("VMS") and intermediate sulphidation epithermal deposit models; Correlation of gold mineralization with strong IP chargeability signature and silica alteration. Drilling will start at the Ginger Ridge Main zone where an initial 3 to 4 holes are contemplated to test (i) the northern limit of the IP chargeability anomaly, (ii) a strong surface geochemical alteration zone near previous drill hole GR14-03 and (iii) the strong and discrete gold-in-soil anomaly located 1,200 metres southeast of the previous drill area. Following work at the Main zone, drilling will move to the Ginger Ridge East soil anomaly to test parts of the anomaly which have coincidental high gold-in-soil values and a strong magnetic geophysical low signature. An initial five drill holes are planned for this new priority area. As previously stated, the number of holes and total metres in this program could adapt as the program progresses. Drill assay results will be reported as they become available. This press release may contain "forward-looking information" within the meaning of applicable Canadian securities legislation. All statements, other than statements of historical fact, included herein are forward looking information. Generally, forward-looking information may be identified by the use of forward-looking terminology such as "plans", "expects" or "does not expect", "proposed", "is expected", "budget", "scheduled", "estimates", "forecasts", "intends", "anticipates" or "does not anticipate", or "believes", or variations of such words and phrases, or by the use of words or phrases which state that certain actions, events or results may, could, would, or might occur or be achieved. This forward-looking information reflects Precipitate Gold Corp.’s ("Precipitate" or the "Company") current beliefs and is based on information currently available to Company and on assumptions it believes are reasonable. Forward-looking information is subject to known and unknown risks, uncertainties and other factors that may cause the actual results, level of activity, performance or achievements of Precipitate to be materially different from those expressed or implied by such forward-looking information. Such risks and other factors may include, but are not limited to: the exploration concessions may not be granted on terms acceptable to the Company, or at all; general business, economic, competitive, political and social uncertainties; the concessions acquired by the Company may not have attributes similar to those of surrounding properties; delay or failure to receive governmental or regulatory approvals; changes in legislation, including environmental legislation affecting mining; timing and availability of external financing on acceptable terms; conclusions of economic evaluations; and lack of qualified, skilled labour or loss of key individuals. Although Precipitate has attempted to identify important factors that could cause actual results to differ materially from those contained in forward-looking information, there may be other factors that cause results not to be as anticipated, estimated or intended. Accordingly, readers should not place undue reliance on forward-looking information. Precipitate does not undertake to update any forward-looking information, except in accordance with applicable securities laws.